A few years ago, a hand-pump was installed in the community by another organisation. However, the pump was much too small and slow to serve the needs of the 3,000 people living there. Ricardo José works on the ground as WaterAid’s Rural Programme Manager. While visiting the communities to help plan the project, he reported that it was often taking more than 5 hours for people to collect water at the hand-pump. 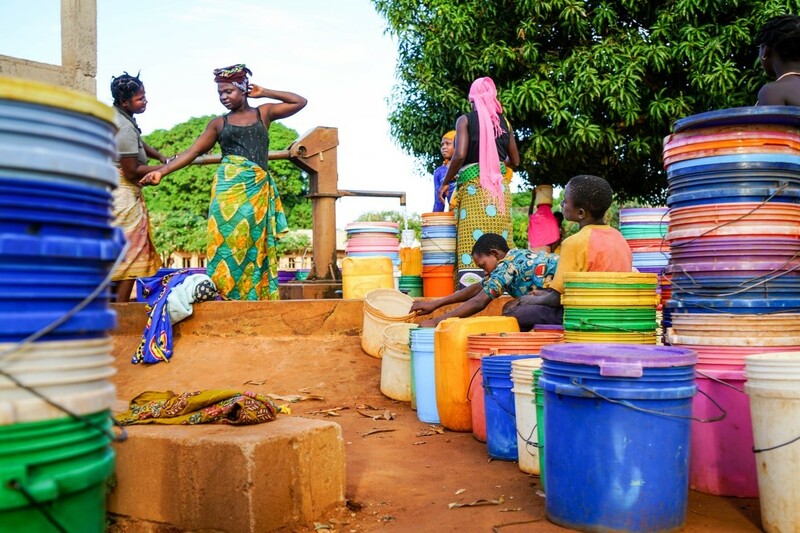 The choice for the people of Tropene was unenviable: risk waterborne diseases and injuries by going to the river, or join an hours-long queue at the hand-pump. This has not been easy to achieve. Early in 2018, northern Mozambique was struck by some of the worst storms to hit the region in living memory. The storms and resulting flash floods – which experts have linked to climate change – took everybody by surprise, causing damage in communities and making the roads to Tropene impassable. The storms also raised the water table, making it impossible to take accurate readings of groundwater levels for several months, and delaying our life-changing work. Having seen the impact of climate change on places like Tropene, all of us in the water sector need to build climate resilience into our work if we want to ensure long-term sustainability. We believe in sustainable change. It’s critical that all of the infrastructure we build lasts long into the future. Whilst solar powered water supply systems have relatively low maintenance costs, there will of course be times when repairs need to be done. That’s why the residents of Tropene – and other communities where we work – will pay a contribution for the water they use once everything is in place. It means that funds will be available for maintaining and replacing equipment long after a project ends. The challenge in communities like Tropene is to make sure the price of water is affordable, whilst also ensuring it can cover the costs of maintenance and repair in the future. We work with communities to form elected Water User Committees, and develop their understanding of the full lifecycle costs of the new water services. The Water User Committee then has the knowledge they need to work with the local government and service providers to find a fair price for water in their community. Ancha spends time with her daughters in Tropene. Thanks to this project, and to Ancha’s work on Tropene’s Water User Committee, her daughters will grow up drinking clean water. Tropene now has a reliable clean water service, and local leaders like Ancha are helping to plan for its long-term future. The solar-powered water system here is the first of twelve that WaterAid is building in the Memba and Mossuril districts of northern Mozambique, with dedicated support from the Poul Due Jensen Foundation. 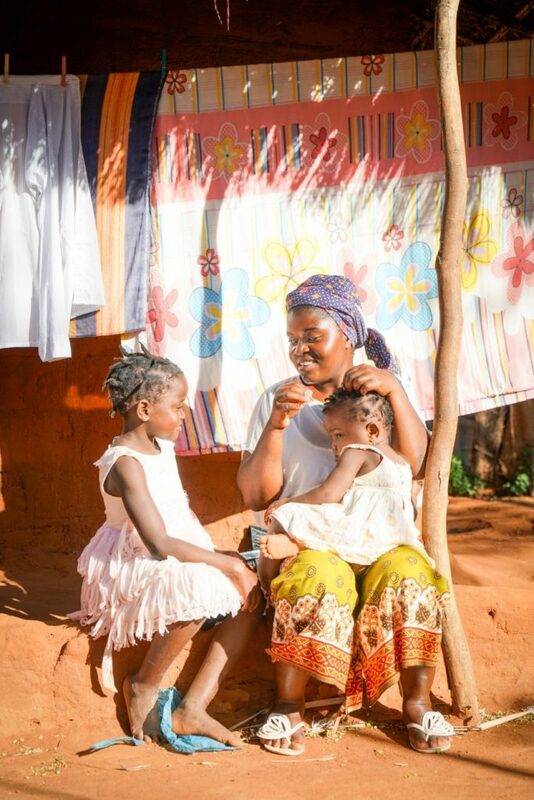 Together, we are sharing our expertise to transform tens of thousands more lives in rural Mozambique. Please see here to learn more about our project.